As a trusted provider of security systems in Alabama, HALO Security already protects many of your neighbors. Our commitment to quality ensures that your home will be a safe place for you and your loved ones. 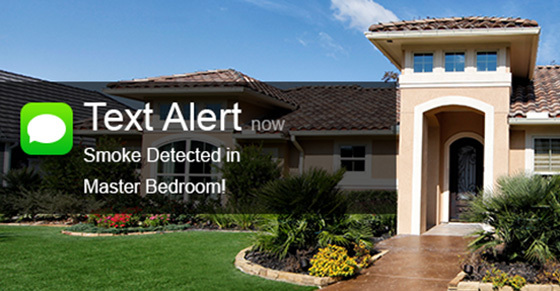 Did you know that homes with a security system are three times less likely to be broken into than homes without one? Protect your family and valuables with a security system from HALO Security. 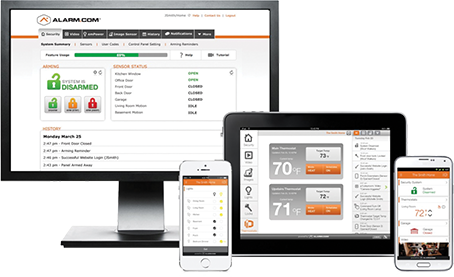 Stay in control of your security system, thermostat, lights and locks using automated schedules. Receive notifications if the thermostat setting changes or if the temperature in your home is too hot or cold. Did I forget to lock the door? Is my garage door open? Alarm.com systems communicate even if the phone line, internet or power is cut. If there is an emergency rest assure that the authorities will be notified. Protect your family with safeguards for dangerous conditions. In the event of fire, the system signals for emergency response. Did you know that carbon monoxide can kill you even before you feel any symptoms? This odorless gas, sometimes called the silent killer, can be detected by a carbon monoxide detector from HALO Security. Keep an eye on what matters most with HALO Security’s video surveillance solutions from Alarm.com. View high-definition live and recorded video from anywhere using you mobile device. 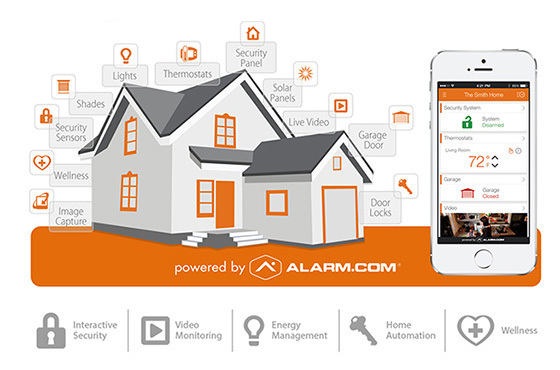 Alarm.com video is connected with your security system, so you can get a video alert when any system activity is detected. See what's happening if the system is disarmed unexpectedly, or if the alarm goes off. Control your lights, locks, thermostat and outlets with just one tap. Alarm.com’s Scenes lets you adjust multiple devices simultaneously. Whether you’re at home or away, your home can be the way you want it, instantly. Manage your lights and temperature settings with automated schedules. 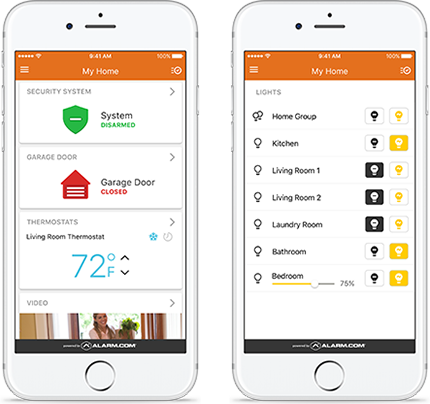 Integrate your security system with your thermostat and lighting, creating a smarter more efficient home. Alarm.com can use real-time local weather data to adjust your temperature settings to save energy and money if outdoor temps spike.